The President of the United States of America, in the name of Congress, takes pleasure in presenting the Medal of Honor to Staff Sergeant Paul Luther Bolden, United States Army, for conspicuous gallantry and intrepidity in action above and beyond the call of duty on while serving with Company I, 120th Infantry Regiment, 30th Infantry Division. Staff Sergeant Bolden voluntarily attacked a formidable enemy strong point in Petit-Coo, Belgium, on 23 December, 1944, when his company was pinned down by extremely heavy automatic and small-arms fire coming from a house 200 yards to the front. Mortar and tank artillery shells pounded the unit, when Staff Sergeant Bolden and a comrade, on their own initiative, moved forward into a hail of bullets to eliminate the ever-increasing fire from the German position. Crawling ahead to close with what they knew was a powerfully armed, vastly superior force, the pair reached the house and took up assault positions, Staff Sergeant Bolden under a window, his comrade across the street where he could deliver covering fire. In rapid succession, Staff Sergeant Bolden hurled a fragmentation grenade and a white phosphorous grenade into the building; and then, fully realizing that he faced tremendous odds, rushed to the door, threw it open and fired into 35 SS troopers who were trying to reorganize themselves after the havoc wrought by the grenades. Twenty Germans died under fire of his submachine gun before he was struck in the shoulder, chest, and stomach by part of a burst which killed his comrade across the street. He withdrew from the house, waiting for the surviving Germans to come out and surrender. When none appeared in the doorway, he summoned his ebbing strength, overcame the extreme pain he suffered and boldly walked back into the house, firing as he went. He had killed the remaining 15 enemy soldiers when his ammunition ran out. Staff Sergeant Bolden's heroic advance against great odds, his fearless assault, and his magnificent display of courage in reentering the building where he had been severely wounded cleared the path for his company and insured the success of its mission. 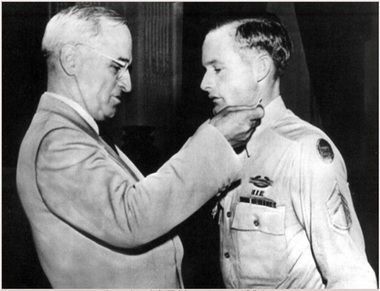 As reported by the Huntsville Times on December 31, 1945: Staff Sergeant Paul Bolden, lately a recipient of the Silver Star for slipping through enemy lines to retrieve American supplies dropped from planes, now has the Bronze Star for a similar valorous action August 10 when his infantry battalion were completely surrounded on a hill. The isolated unit was in need of food, water, and medical supplies. Staff Sergeant Bolden and others volunteered to penetrate enemy positions in search for supplies known to have been parachuted into the area. Earlier in the mission, they encountered a German tank, which they destroyed with bazookas, and the rest of the procurement job was carried out under strong Nazi fire. Thanks to the "devotion and determination of this brave group of men," said the citation " Hill 314 at Mortain, France, was able to hold out against insurmountable odds, and the gallantry and initiative displayed by Staff Sergeant Bolden were a material contribution.